Where has this book been? Why hadn't some Appalachian Trail junkie not already written it? 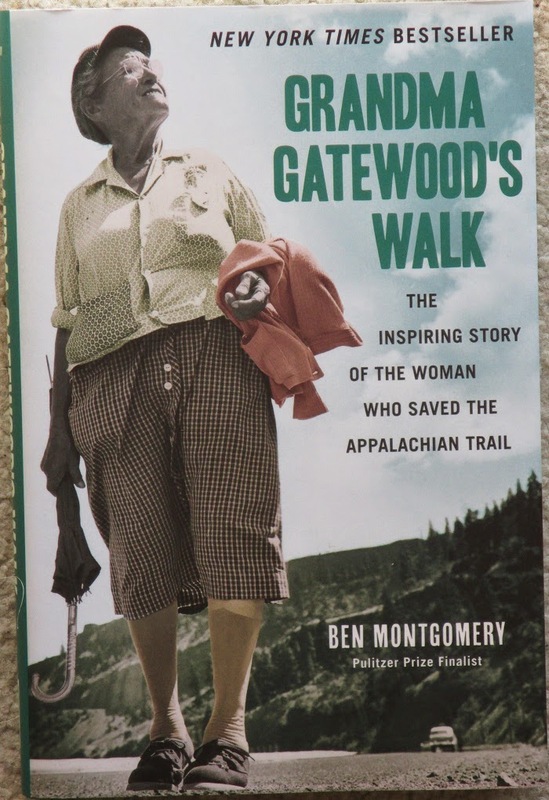 It's hard to fathom why the saga of Grandma Gatewood and her pioneering 1955 Appalachian Trail thru-hike has not been turned into a stand-alone book before now. And from my perspective as an avid hiker and an Appalachian Trail thru-hiker myself, it's a little disappointing that, when the tale finally was told, it was not by one of 'us' in the fraternity. It took an enterprising but non-hiking reporter to find and fill this gap in Appalachian Trail lore. Fortunately Ben Montgomery was up to the task. Despite starting as an 'outsider' with no demonstrated attachment to the Appalachian Trail or to the hiker culture that bonds all of us who have lived the experience, Mr. Montgomery did his homework. As a result this book is a first rate documentary. What Montgomery lacked in hiking experience he made up for with his well-honed skills as a Pulitzer Prize nominated reporter. He sought out Emma Gatewood's surviving children, gained access to her hand-written journals and accounts of her hike. He dug into the fascinating, gripping story of the pre-trail life of this remarkable woman. And he went to the trail and walked in her footsteps--at least enough to begin to understand: He climbed Katahdin, and he even visited Mt. Oglethorpe, which was the southern terminus of the trail in 1955 when 67 year old Emma Gatewood undertook her historic walk. Were I to have written this book, it would have been tempting to take the facts and extrapolate--to try to get into Emma Gatewood's mind as she experienced her hike, to empathize more with her love of nature, of solitude, of the pure joy of being free of her extraordinary 'real-life' burdens -- the daily grind of raising eleven children and dealing with an abusive husband. The book I would have written would have been infused with much more emotional immediacy. But Ben Montgomery scrupulously avoided taking this route. It's the reporter's instinct, I'm sure, and I have to praise him for taking this course. He stuck to the facts -- presumably closely paraphrasing Ms. Gatewood's written journal and resisting all temptation to embellish or read between the lines. As a result, I find myself trusting the story completely. There's no whiff of 'historical fiction' here. Did Emma Gatewood 'Save the Appalachian Trail' as the subtitle claims? This is my greatest complaint about the book. I think that claim is hyperbole. I think it's there to sell books. Montgomery briefly makes his case near the end of the book with a peculiar 'straw man' sort of argument. He points to the claims that Ed Garvey, and his highly successful, widely read 'Appalachian Hiker: Adventure of a Lifetime' was the turning point in public awareness of the trail. Then he uses a weak, cherry-picked statistic to knock down this straw man. In my opinion no one individual 'saved the trail', and Montgomery presents no evidence that the trail even needed saving. True, it had fallen into relative neglect and disrepair during WWII when people had more important things to expend their energy doing. But it was the organic evolution of American culture after the war--the same mindset that popularized Frodo Baggins's epic hike to destroy the Ring of Power--that made the AT what it is today. Naturally the early thru-hikers played an especially prominent role. The title of 'savior of the trail' surely could be more appropriately bestowed on Earl Shaffer or Gene Espy, whose hikes preceded Emma Gatewood's by seven years and four years respectively, and who were both very active supporters and proponents of the trail after their hikes. Hyberbole aside, Emma Gatewood is a memorable character - destined to be a larger-than-life legend if she isn't already. And she deserves it for multiple reasons. She was sixty-seven years old when she accomplished her feat. She did something no female of any age had done before. She has a compelling, even heart-wrenching personal background, and she undertook her hike with a sort of back-to-nature minimalism that is reminiscent of an ascetic monk on a holy pilgrimage - ultra-cheap, ultra-simple gear, no maps, spending just $200 during the 146 day trek. Thank you, Ben Montgomery, for telling this story, for bringing it to the public at large in the most professional manner possible. If 'Wild' was worth making into a movie, then surely the story of Emma 'Grandma' Gatewood is too. And I'll be first in line at the theater on opening day. Meanwhile I highly recommend the book. Great review. But remember. She was not the first woman to thru-hike the A.T. She was the first to do it alone. And she publicized her feat every chance she got. Danny - you're absolutely right. I think her competitive, even combative nature was a driving motivation for her. I found it extremely revealing that she and Dorothy Laker shunned one another on Gatewood's second thru-hike in 1957 (Laker's first). These two women were (or should have been) the closest of soul-sisters. But they seem to have each viewed the other as threats. Emma Gatewood basked in the publicity. 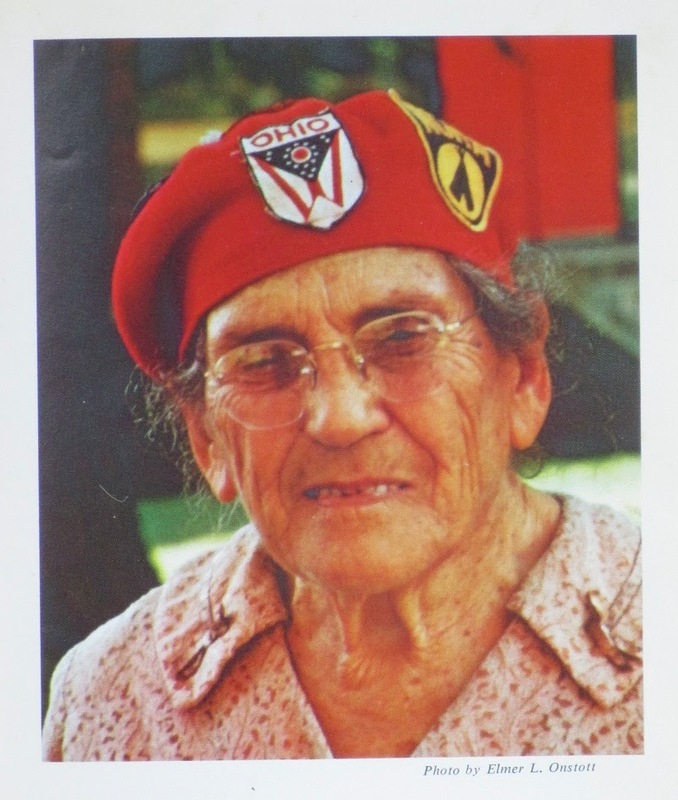 Dorothy Laker achieved little, and she hiked slower, despite being several decades younger. Oh, if I could have been a moth on a tree when those two passed one another in Pennsylvania in July 1957.